The Israeli army says the killing of eight Palestinians from the same family in the Gaza Strip was made in error, Haaretz reports. The civilians, members of the Kaware family, died in an airstrike on their home in the city of Khan Yunis. A preliminary Israeli Defence Forces (IDF) investigation released Wednesday said the family was warned that the home — which it says was used as a headquarters for a Hamas commander — would be attacked. The family returned prematurely, the IDF said in the report. “There was nothing to be done, the munition was in the air and could not be diverted,” a senior air force officer said. “Although you see [the family members] running back into the house, there was no way to divert the missile." 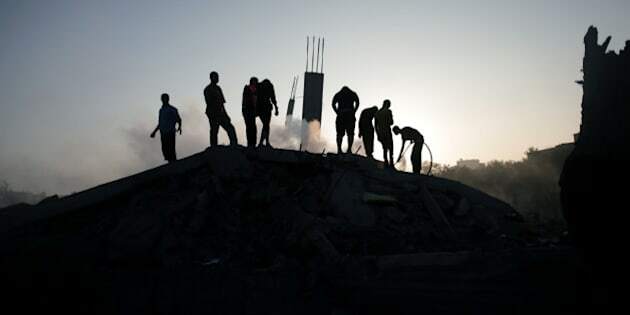 The Israeli army launched its aerial assault on Gaza on Tuesday in response to Palestinian militants firing rockets into Israel. The death toll in Gaza, under a hail of airstrikes, reached at least 75 on Wednesday. The pre-strike warnings are part of the Israeli army's efforts to minimize civilian casualties, according to the New York Times. The efforts include phoning residents then firing a missile without a warhead onto the roof as a warning. The IDF report says those efforts were made in the Kaware family's case, but Lt. Col. Peter Lerner, a spokesman for the Israeli military, told the NYT that the family returned to the home after the warning was made and before the actual airstrike was launched. “It is a tragedy indeed and not what we intended,” he said. Tensions have been growing in the region ever since the abduction and murder of Israeli teenagers and the killing of a Palestinian teenager in a suspected revenge attack days later.